This delicious Creamy Leek and Parsnip Soup is perfect for serving on a chilly fall evening. Potatoes contribute starchiness and silky thickness, while sweet carrots and salty ham balance out the peas' light, earthy flavor. 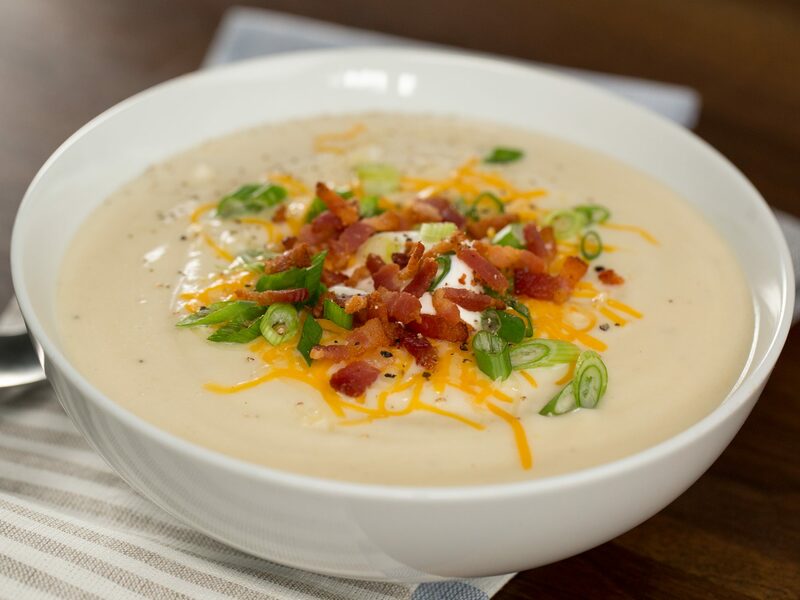 Leftovers fare well in the freezer, so say hello to your new favorite make-ahead soup. Garnish with parsley and additional pepper, if desired. You'll want to cook the vegetables and beans for 8 hours before adding the sausage. Garnish the finished soup with shaved parmesan cheese. If it’s buried under bacon, then you know it’s got to be good. This is a yummy comfort food perfect for the winter months and appropriate for all members of your family. 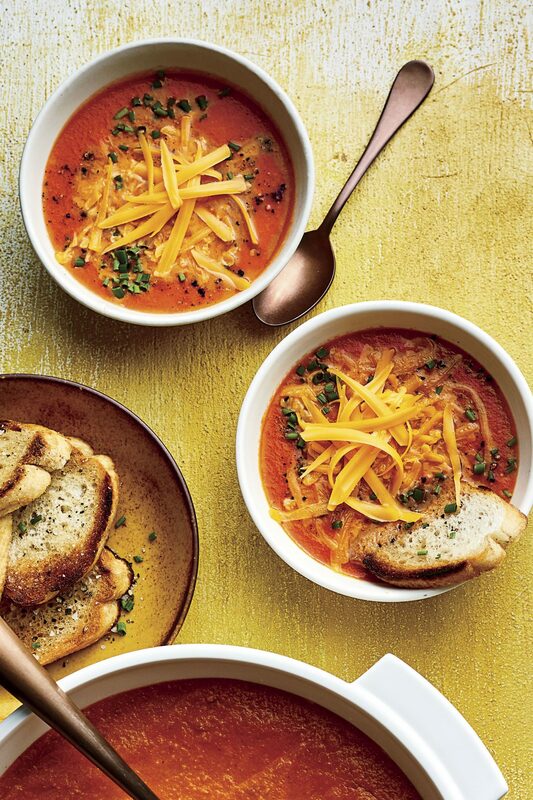 This classic soup gets a double hit of cheese--stirred into the soup and sprinkled over the top. You'll love the aroma of cumin, oregano, and gently braised pork that will fill your home as the stew cooks. 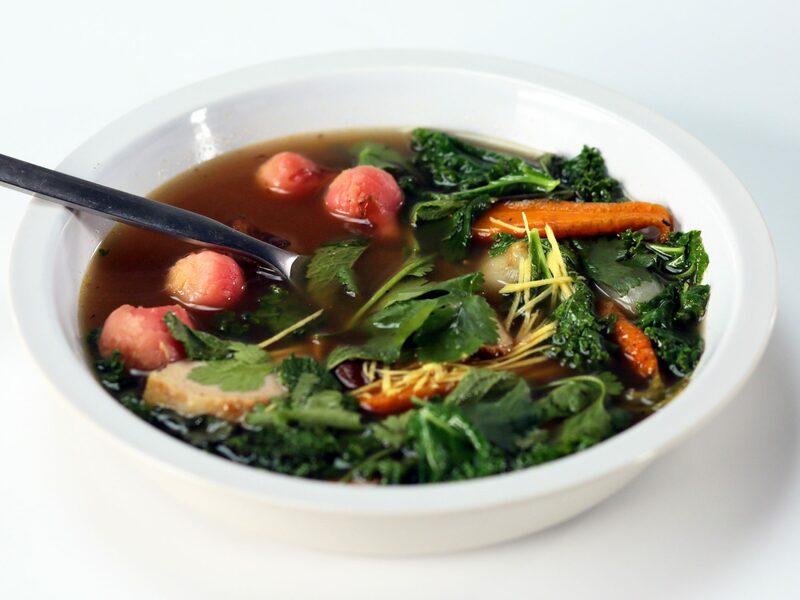 This hearty soup is exploding with flavors. Meat lovers will crave this bacon-packed and sausage-enriched delight. For a thicker consistency, let the cassoulet stand 30 minutes before serving. This soup is simple, savory and extremely soothing on a cold winter night. To serve twelve to sixteen, make two batches of soup instead of doubling the recipe. Warm up on a cool evening by serving a stew with an extra punch of heat. 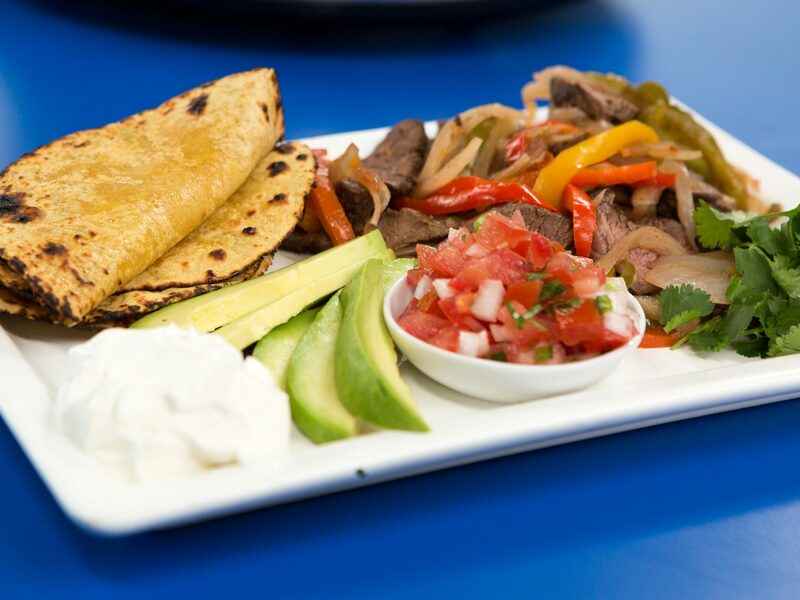 Salsa and tortillas give this recipe Mexican flair. Just like Mom used to make, our beef stew is packed with hearty chunks of meat and an array of vegetables. Be sure to have plenty of bread on hand to sop up the savory gravy. The quintessential slow-cooker recipe, all you need to do for this soup is throw all the ingredients in the cooker and let it do the work. Raid your pantry for everyday canned goods to prepare this classic stew. And at just over 200 calories per serving, feel free to go back for seconds! Budget-friendly black bean soup gets a makeover with the addition of tender pork. Have a garnish station ready with tons of toppings so that family members can customize their bowls. 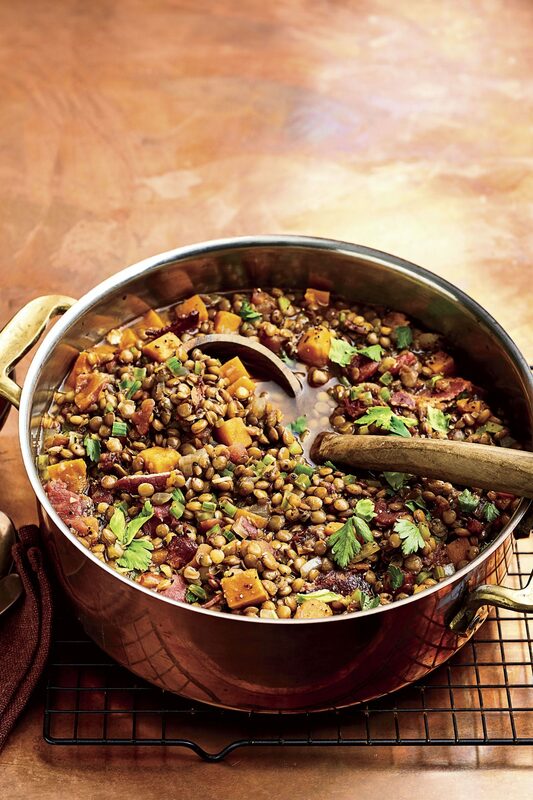 This Moroccan stew recipe is rich in nuts and spices and sweetened with currants. Serve with couscous and a dollop of plain yogurt. 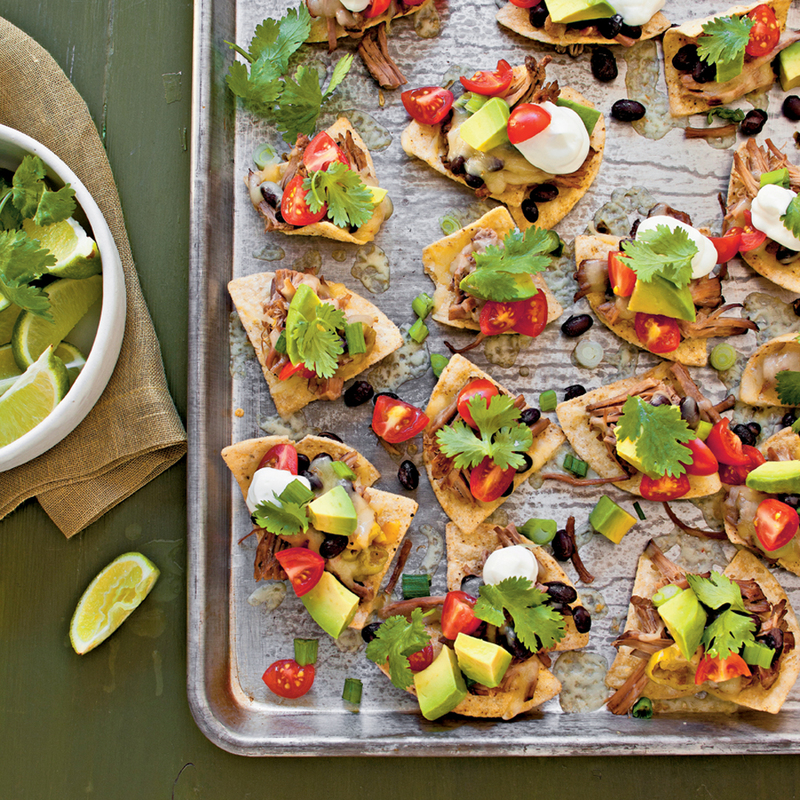 Think your weeknights are too hectic for a home-cooked meal? Then you haven't tried this recipe. With a little chopping and emptying of cans and bags, dinner is served! 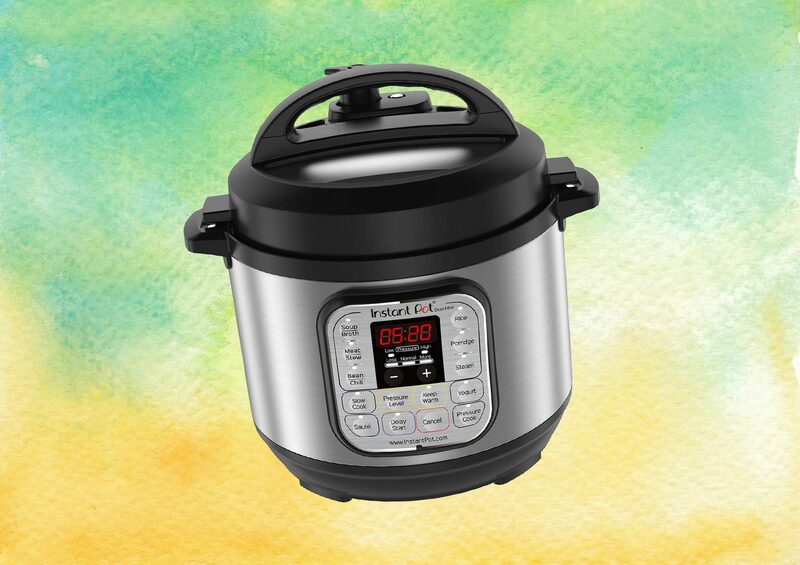 Take your slow-cooker recipe collection to new heights with the introduction of Thai cuisine. Serve this stew with lime wedges for an extra burst of flavor. Ham gives your average pea soup a savory twist that is prefect to enjoy as a simple, yet hearty meal. Add croutons for a crunchy bite, or bake a pan of cornbread to pair with this soup. Brunswick stew, a favorite Southern supper, combines vegetables, hash browns, and cooked chicken and pork for a super-satisfying meal that's easily prepared in a slow cooker. 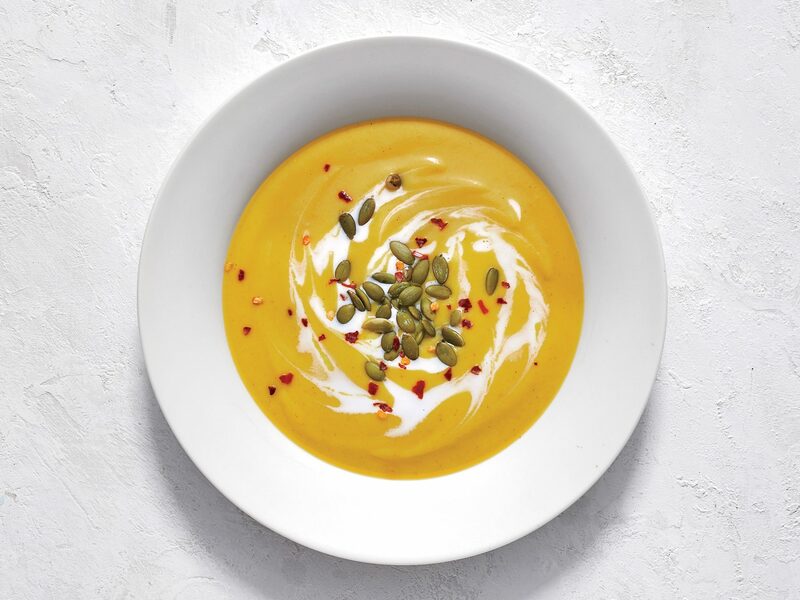 This soup celebrates two of autumn's favorite flavors: butternut squash and apples. 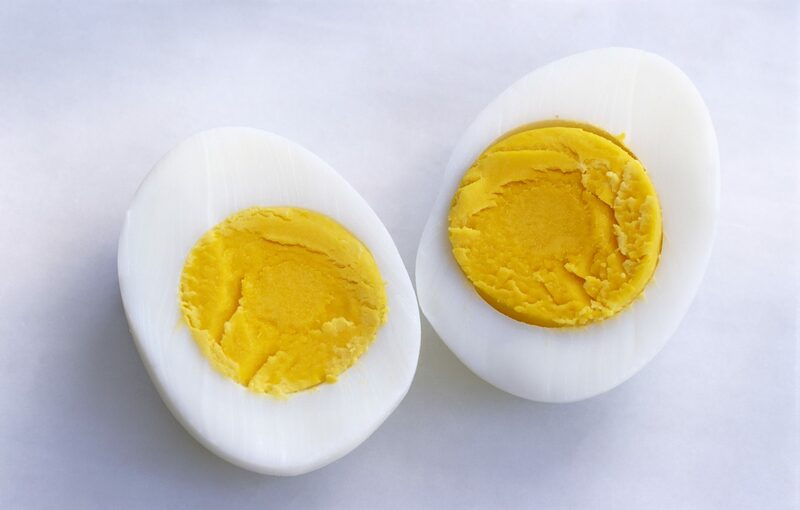 It's also a great make-ahead meal, since it keeps in the fridge for up to four days and up to two months in the freezer. Pork and hominy (a type of corn) are a classic flavor pairing, especially in soups and stews. This easy slow-cooker stew calls for only nine ingredients and costs less than $2 per serving. Brown your meat, and throw ingredients into your slow cooker. Eight hours later you've got a warm, hearty soup perfect for a chilly night. An inexpensive cut of beef is elevated by flavorful herbs and vegetables in this classic French-style soup. Eight hours in the slow cooker yields comforting, from-scratch taste with economical ingredients. Butter-tossed breadcrumbs stirred in at the end give this dish a robust stewlike consistency. Meatless Italian sausage stands in for the traditional pork sausage. This hearty soup is comfort food at its best with white beans and pork in every bite. This simple shrimp-and-sausage gumbo is the perfect way to add a little Cajun flair to your slow-cooker recipe collection. This easy black bean and butternut squash chili will fill your kitchen with wonderful aromas while it simmers in the slow-cooker all day. Serve with cornbread and your favorite toppings. Try our slow-cooker version of minestrone, a traditional Italian soup. This traditional Brazilian stew of pork and black beans is served over rice with fresh orange slices. 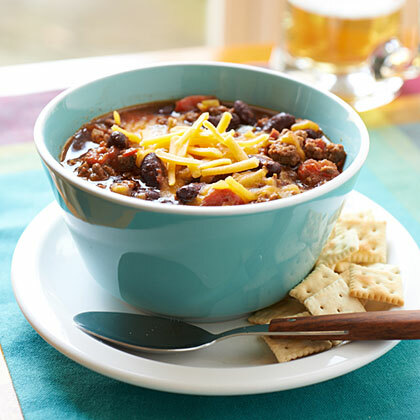 Add this tasty chili dish to your winter month meal plans. It’s loaded with fiery flavors and served hot off the slow cooker. Serve over couscous with lime wedges and sprinkle with cilantro. Start this chili before you head to work in the morning and come home to a perfect winter meal.